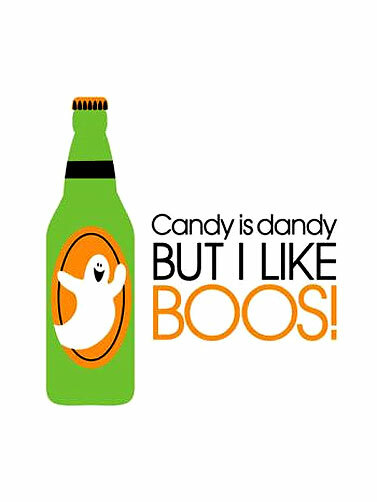 Your Halloween party guests will apreciate the play on words with these 2 ply paper napkins that read "Candy is Dandy, but I like Boos!" Perfect size for party drinks and appetizers. Candy Is Dandy Beverage Napkins measure 5" x 5." 18 ct.